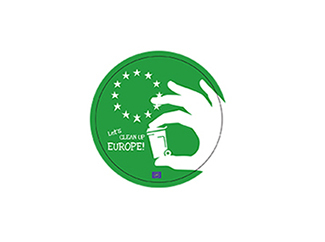 Humana rejoins the Health Area III of Asturias with different activities to mark the European Week for Waste Reduction, which is celebrated across the continent from 21 to 29 November. 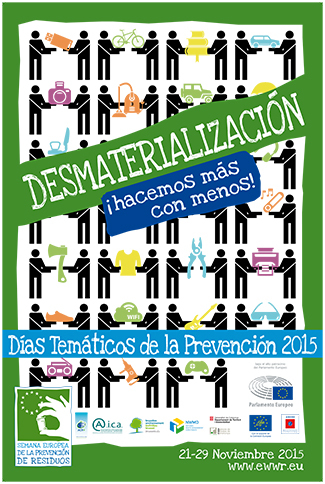 This year one of the objectives is to influence how waste prevention has a positive effect on people. In fact, one of the slogans is 'Desmaterialisation. Doing more with less'. Therefore, Apili Vieira is visiting Spain and Portugal during the ned of Novemeber in order to partcipate in the activities. Vieira is a Professor of Business and Management of Vocational School Bissora, corresponding to one of the education projects we support in Guinea-Bissau in collaboration with our local partner ADPP, which are possible with funds generated by the appreciation of clothing. Vieira will participate on 27 November in a round table attended by representatives of the Office of Environment of the Principality of Asturias, COGERSA, Health Area III and the Foundation for Circular Economy. Professor arrival of Guinea-Bissau has planned meetings with the mayor of Avilés, Mariví Monteserín, and the mayor of Oviedo, Wenceslao Lopez and the Director of the Asturian Agency for Cooperation, Gimena Llamedo. November, 24 and 26, in addition, several workshops are planned reuse of textile in Quirinal School, near the Hospital San Agustin. At the same time, Humana participates as a speaker on November, 25 at the Waste 3.0 day, scheduled in the School of Industrial Organization of Seville, in which, among others, involved Fernando Martinez, Director General Prevention and Environmental Quality of the Junta de Andalucía and Virginia Pividal, LIPASAM Manager. The Foundation launched on the occasion of the EWWR and the second edition of the campaign #ClothesLine to promote recycling and reuse of textiles. The #ClothesLine campaign is supported by a video in which much of the equipment of the textile sorting plant Humana Granada and the shops of the Foundation in this city on the site www.pasaturopa.org involved and disseminating social networks and media. The purpose is to achieve maximum impact and thereby promote greater awareness of the positive impact on the environment having the textile reuse. It is estimated that a person buys approximately 16 kg of clothes and a significant percentage are seldom used ... until the end of its useful life in the trash or in a container of textile waste, as the best. Garments of all Spaniards discarded each year, only one in five is deposited in a container of textile waste or delivered to a specialized recycling organization. A high percentage of the clothes that no longer serves us can be used again, reducing the volume of waste. Because, if the laundry is already produced, why destroy it and produce it again? Reuse and recycling favor saving energy and natural resources that will cover the production of new garments. It is calculated to produce one kilo of cotton supposed 6,000 liters of water, the emission of CO2 and 3.6 kg 0.6 kg The use of fertilizers and pesticides 0.3 kg. The clothing is collected annually in each container Humana going to end up in a landfill and therefore being incinerated, would produce 10 tons of CO2.